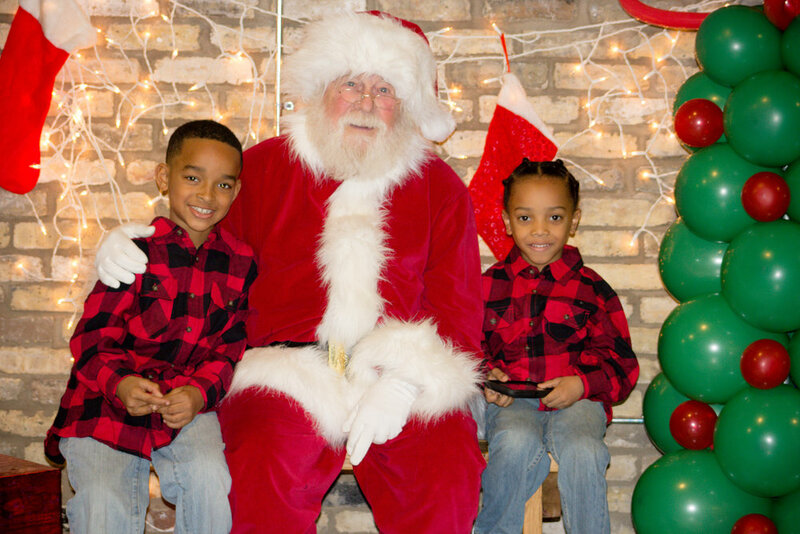 Over the years I have played the roll of Santa for many well known events, a few of them being the Milwaukee Symphony Doc Severinsen party, the Milwaukee Lights, PictureMe Portrait Studio's Pictures with Santa, the Milwaukee area Toy Swap and I have been featured as the Santa in numerous Shopko's promotions and advertisements. In addition to these great events, I have also been the Santa for Brookfield Square Mall and Bayshore Mall, But rest assured I am much more than a mall Santa! I feel that in order to be a successful Santa you must REALLY bring out the Christmas spirit in all of the children and adults. For me, this comes naturally and I feel this is why I have received so many kind words from my customers, clients, passersby (and of course the children). My name is Jerry Inhoff, also known as Santa. In order to be a successful Santa you must REALLY bring out the Christmas spirit in all of the children and adults. For me, this comes naturally and I feel this is why I have received so many kind words from my customers, clients, passersby (and of course the children). I will do parades, private or corporate parties,private or corporate photo shoots, house calls, or any type of function that requires a Santa of the highest caliber! travel expenses not included. Pending availability. For over a decade Santa On Call has provided nonstop entertainment for the Milwaukee Holiday Lights Festival Kick off Extravaganza. Santa on Call has mesmerized the young and the young at heart. Providing a strong performance on stage to a crowd of thousands in our beautiful downtown setting to the one-on-one memories created with children and families visiting our parks. Santa on Call is the best of the best. For the past five years our youth group has had the pleasure of working with Santa Jerry during our Breakfast With Santa. Santa Jerry is the perfect Santa for any occasion. Not only does he look like Santa, but he acts like him too! He treats every child with kindness and compassion. His soft spoken, nurturing nature is comforting to even the leeriest child. I highly recommend him for any children's event. Thank you! Your message is being sent to the north pole. All messages are normally replied to within 1-3 business days.